Greetings! Hope everyone had a great Thanksgiving. We had a nice one. I listened to a good bit of this one on the radio yesterday and I'm pleased to report that our Hoop Dawgs finally got another win under their belt. Yes, it was Appalachian St. and yes, they're from the SOCON (but hey - remember Davidson), but our Dawgs looked pretty darn good as we witnessed another great game out of Charles Mann. That kid's a baller. Final: Dawgs 71 - App. St. 53. So now it's Clean, Old-fashioned Hate. Georgia Tech. The Golden Tornado. The NATS. The Nerds. "What's the Good Word?" "Piss on 'em," the Flagboy, and the rest of their weird, pathetic crap. We've won 11 out of 12 from that crowd. Richt owns Tech so bad that he pays Fulton Co. property taxes. And don't let anyone tell you that Buzz and Co. are not our main rivals anymore. Yes we own them. Yes they're pathetic. But who do you hate losing to the most? That's how you tell who your biggest rival is. Still pissed about 2008? Hell, I'm still pissed about 1999! Keys to the game? Line up and knock the everlivin' sh!t out of 'em! Seriously, I think if Gurley does his thing, Mason plays a smart, solid game with limited mistakes, and if our D can continue playing like they have the last two games, I don't see how we don't win...probably by a couple of touchdowns. Of course the wildcard would be special teams play, but they do seem pretty improved over past month. Bunch of great games on today. Can't wait to get in front of the TV. GO DAWGS! GATA! TO HELL WITH TECH! I was at the game Saturday night. Great win for the Dawgs. Perhaps our first truly complete game. 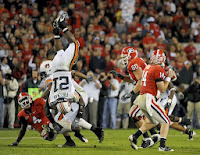 Obviously all of that was overshadowed by the heartbreaking, gutwrenching sight of Aaron Murray's injury. He's having ACL surgery today - thoughts and prayers are with you, young man. It wasn't suppose to be like this, right? I guess when it ain't your year - it's just not your year. Man, we've had some bad luck this year. It just doesn't seem fair, but nobody said life was fair. I thought CorbinDawg over at The Grit Tree gave a very good write-up on this situation. Yep, Destiny sure is fickle. We now find ourselves 7-4 with the state championship left to play for. As I've mentioned before, while a lot of people would like to think that the NATS aren't our biggest rival anymore, let me ask you this question: who do you hate losing to the most? Yeah, that's what I thought. And sure - it's only happened once in the last 12 years. All the more reason for us to take care of business and dispatch the nerd herd. And naturally, Hate Week is in full gear, so you know that Bernie is all over that: EngiNerd, EngiNerdette (classy) and "You Can Do That!" LOLz! Good stuff. So now we've got to deal with that triple-option crap that the techies run. I like this as a motivational tactic by Grantham (H/T the Senator). Hell yes! I also like how we're going with full pads all week. Very good. Alright, I'll be doing my pre-game stuff either Friday or early Saturday, so look out for that. Happy Thanksgiving! After a less than impressive showing against Davidson Thursday night, the Hoop Dawgs brought it against Temple in the 2nd round of the Charleston Classic. Unfortunately, it wasn't enough as the Owls hit a 3 with seven seconds left to beat us 83-81. Gaines and Mann, our starting guards, had huge nights with 21 and 19 points, respectively. Big guys Thorton and Williams had good games as well and Djurisic had a big night off the bench with 10 points. The Dawgs outshot the Owls and were basically even in most other phases of the game. We limited turnovers and we got the ball around pretty good. It just wasn't quite enough. As I've mentioned earlier, I still feel good about this team and think we can surprise some folks and have a decent year. Well, here we are, the last home game of the season. This is always a mixed bag for me. I'm excited to get to see one more Between the Hedges but I'm always kind of sad because I know it will be a pretty long while before I'll see another one. Tonight is Senior night and we'll be saying farewell to many a Damn Good Dog including the most prolific QB in SEC and UGA History, Aaron Murray. 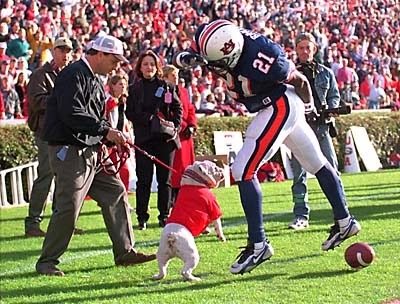 As for the game itself, I'm thinking our Dawgs will be ready. It would be easy to overlook Kentucky as they are the worst team in the SEC, but I think our boys are up for the challenge and will bring it pretty hard today. No emotional hangover from last week and no looking ahead to the NATS. 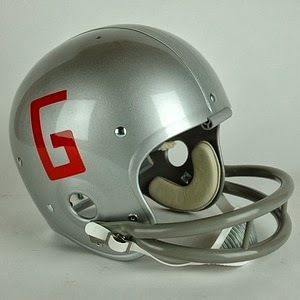 I think the Dawgs are going take out some frustration tonight. I'm with Bernie, we need to be fast and aggressive on D and just do our thing on offense. 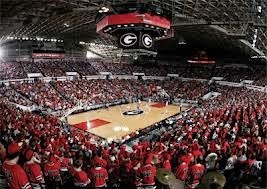 I sure hope we don't see a storm of events - 6-4 record, bad weather, bad opponent - keep folks away from Sanford tonight. I'd hate for there to be only about 70 - 80,000 folks in the stands during the Senior night festivities . Them boys deserve better than that. Let's pack it out tonight! Our Hoop Dawgs take on Davidson today in the first round of the Charleston Classic in Charleston, SC. Tip-off is set for 5PM and the game will be carried by ESPNU. The Dawgs come in 1-1 and Davidson is 0-3. This should be, and really needs to be, a win. The Southern Conference Wildcats, at first glance, might not seem like a very good ball team, but this crowd did play the 25th ranked team in the country, Virginia, pretty darn tough a few days ago. We'll need for our starting five to play well in addition to our key bench guys. Look for Gaines and Mann to have big games and look for J.J. Frazier to impress off the bench as well. And we'll need for our big guys to continue their impressive rebounding numbers and add some quality points, too. Remember last year's early season tournament, the Progressive Legends Classic, in which we lost to Youngstown St. and Southern Miss before losing the games we were supposed to lose - that tournament really killed us, I think. It set the tone for a season that had moments of success but ultimately became a real disappointment. We really need to take care of business today. Again, that's a 5PM tip on ESPNU. GO DAWGS! Many of you have probably already read this, if not, you really need to. It's entitled, "What it Means to be a DGD: An Open Letter to Aaron Murray." It's awesome. It started out as a fan post on Dawgsports with a fair amount of views and FB and Twitter shares. Then it got promoted to the main page. Then, well, I think they call it going "viral." As of this morning, it is at over 36,000 FB shares (I read that even for well-read posts that number is usually double-digits, maybe triple), and as of last night it had been viewed over 170,000 times. I knew it was picking up steam when I saw several of my FB friends who don't follow Dawgsports on Facebook sharing it. Pretty cool stuff. Thank You, Dawg Haus. At this moment, having just completed reading this, I feel better than I have felt since that awful, terrible, gut-wrenching ending on Saturday night. Agreed! Thank you, Dawg Haus, for such a superb post. Excellent work. As you may or may not have noticed, and judging on attendance at games - you probably haven't - but the 2013-2014 version of the Hoop Dawgs have hit the hardwood. These Dawgs - our Dawgs - are hungry and ready to play. With the loss of KCP, it looks to be a lean year, but I just have this feeling that these hoop Dawgs might surprise a few folks. And honestly, if Mark Fox wants to keep his job, he might need for that to happen. After winning their opener vs. Wofford, the Dawgs ended up losing to the NATS this past Friday. Not too worried about that - Tech looks to be pretty strong this year. It was good game that showed some promise for our team. For the 2013-14 edition of the Hoop Dawgs to be successful, we will need for our marquee players to really produce: guards Kenny Gaines and Charles Mann with some points and dishes along with our starting forwards Djurisic and Dante Williams putting up some points and grabbing some boards. Off the bench, we will need some key contributions from guys like Cameron Forte and especially J.J. Frazier who I think may well end up as our key sixth guy. You know, the tickets are so cheap and the atmosphere is always so much fun - you should really try to attend a few games and support the program. And to get info on tickets. 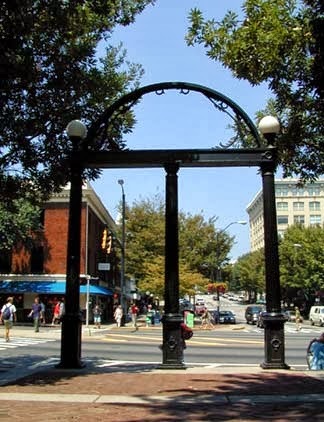 Last night was the toughest loss I've ever dealt with in 30+ years of being a Georgia fan. It was soul-crushing. I think what made it so bad was the fact that we basically had gotten our doors blown off early and then it seemed as if we would hold our own in the 3rd quarter to at least keep it from getting out of hand. Then, all of the sudden we have this miracle comeback only to see a bigger miracle comeback at the very end. And then, and this is something that hardly anyone is talking about, we witness an egregious helmet-to-helmet hit against our QB in the final play that should have given us one more snap. You know what else made this one tough? Those damn Auburn fans. Always pretty much nice and friendly until after a win and then they show their asses. Of course, the whole Nick Marshall thing was another dynamic. After their $scam Newton hijinks, the plainsmen pull a redux taking the player that stole from his teammates. Winning at all costs, I guess. Ends justify the means and all that. I honestly think a fair amount of people, Auburn fans included, didn't fully know that he committed Grand Larceny against his own teammates. I mean, who does that? But because Richt made it a point not to prosecute and get the police involved and simply cut the young, troubled man loose, there has been a bit of a whitewashing of the Nick Marshall story. So, it's just really an additional sting given that background and then to see the reaction of so many of the Tiger nation. But, that's just how they roll. Every staff they've had all the way back to Shug Jordan has been basically been found guilty of cheating. 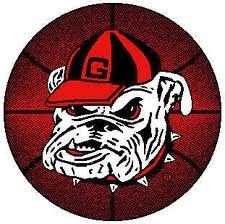 Well, you reap what you sow - we saw that with the 2012 edition of Abuurn.Call it sour grapes if you want, but I'm especially happy and proud to be a Bulldog on this dreary, rainy Sunday. And I'm so glad that Mark Richt is our coach. One other thing: Penn Wagers. To hell with him. He's awful. At this point, it's just beyond ridiculous that he is still calling Georgia games. He's proven with his actions, and publicly with his words, that he cannot be impartial and neutral when it comes to UGA. And, as I mentioned in the first paragraph, the non-call on the blatant helmet-to-helmet hit on the game's last play was just icing on the cake as far as that is concerned. As for the game: well, this one was all knotted up at 54-54-8 and it seemed fitting that the game, and so many of the stats, were basically even. They had 29 first downs and so did we. We finished with over 530 yards of total offense and they had a few more. It was basically anyone's game at the end. And Auburn, with the flukiest of fluke plays (he didn't even see the ball until it was coming down right into his hands), just broke our damn hearts. This basically becomes their "Belue-to-Scott" play. It's a tough, tough one. Like I said - the toughest ever for me. Always a Sunday must read: the Senator and his observations. Spot on, as always. Bernie's right: Aaron Murray is so damn clutch. He deserved to win this one. We really need to show some love this Saturday. Let's pack Sanford, y'all! And Tyler's right: Ramik is the man! DGD! The Macon paper's Seth Emerson, the best UGA beat writer out there, keeps on keepin' it real. Well, we got to shake this one off and get ready for Kentucky. I know they've basically been awful this year but they got some talent, and some pretty good coaching. We've got to get ready for that crowd. Also, this will be our final home game so we really need to pack it out and show some love to our Seniors, especially Aaron Murray. Contrary to what many think, Auburn is not a "brotherly" or "gentleman's" rivalry. Those SOB's turned hoses on us including feeble old people and small children back in 1986. These were not people on the field (who also got sprayed) but rather folks just minding their own business in the stands. That's Auburn. You know what else Auburn is? Cheaters! That's just how they roll. Shady banks and seedy dog-racing track owners, pay-for-play players, etc. etc. A 10-part series of 400 page books could be written about Auburn's propensity for wanting/having to always cheat in order to get the success that they so desire. I tell you what else Abuurn Auburn is - conflicted, confused, and crazy - they don't even know what they are! Tigers, Plainsmen, War Eagles, Oh My! Of course, they make a big deal about how War Eagle is not their mascot but rather their rallying cry...alright, then. So, I guess that bird that flies around before every home game that everyone refers to as the Auburn mascot is...not their mascot? Okay...so the bird is a living, breathing, flying "rallying cry." Got it, Auburn! Got it. 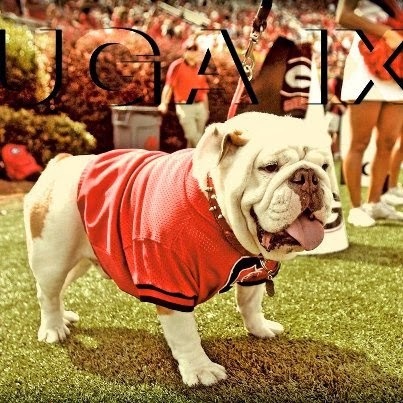 To me, UGA has five legitimate rivals. And from my perspective, you've got to play a team every year for it to truly be a rivalry game. They are, in order of hatred and disdain and most importantly - who you want to lose to the least - as follows: Tech, Florida, Auburn, Tennessee and South Carolina. So I've got Auburn in the middle of the pack so one might wonder, "why do you dislike them so much?" See above. As for the game itself, I feel pretty darn good about it. Auburn runs the ball well and our defense handles the run well. The zone read stuff is a bit of a wildcard but we've had some exposure to that with Clemson, SCAR, and MIZZOU. So really, I feel that part of the game is pretty good. Naturally Auburn will put some points on the board but I truly feel that our offense can put up more. The one thing that can tip it, of course, is special teams. As we all know, we've had some major issues, and as anyone can tell you who saw Auburn play last week - they've got some real weapons and playmakers in that phase of the game. I think it's going to come down to that and turnovers. 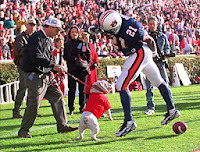 Lots of stuff going on this week...so why don't we take "a trip around the Dawgosphere." Looking at the different teams' strengths, Tyler thinks the Dawgs have an excellent shot at winning on the Plains in a couple of days. I'm inclined to agree. I vividly remember watching this one on TV as an eleven year old boy. What a game. And what a Damn Good Dog! And to hell with Auburn for pulling that crap. T. Kyle King is right - anyone who thinks that Auburn is a "gentleman's" or "brotherly" rivalry just doesn't get it! Lugnut over at the Grit Tree is also feeling good about Saturday. What's the best UGA beat writer saying about Saturday? It's the run defense, stupid! The Mumme Poll, Week 11. My ballot is very similar but I had OSU instead of tOSU. A very good write-up about the upcoming game over at the GottaSupport'em Blog. I like this guy's stuff - he does a good job. About to take my ladies to the Classic City, so I'll be brief. Sorry for the light posting lately - it's been one of those weeks. Like the Senator, I really don't have anything for this one other than hoping to see the things he mentioned - Murray breaking the record, everyone staying healthy, and getting some of our backups some good playing time. For me, the coolest storyline today is a personal one. One of my good friends is a UGA grad and he was looking for some tickets for Saturday's game to take his son to that I was able to help him get. Here's the back story: his parents met and became an item back in the day when they were both students at Appalachian State (and I had both of these fine folks as teachers in high school - they were two of my favorite teachers. Both just fine, fine people). My friend's son is named Boone in honor of the town where App. State is located. This will be the young man's first UGA game. Against the school where his grandparents met and fell in love. Pretty cool story, I think. Let's have a great day between the hedges. GO DAWGS! Explanation: I switched 'Bama back to #1 after having FSU there for the last two weeks. I just feel like they're the best and would beat FSU in a head-to-head. I’ve still got Fresno St. in there – GO DAWGS! I decided to put LSU in over Auburn. Like a lots of folks, I’m just not sure how good the wareagletigerplainsmen really are. The last spot was tough. Thought about Okie St. and Michigan St. but decided, begrudgingly, to go with Baylor again. I don’t think they’re legit, but we will soon find out about that. UGA 23 - UF 20. What a win! That's three in a row vs. the Gators, 4 of the last 7, and puts us at a 5-5 tie over the last decade in the World's Largest Outdoor Cocktail Party (WLOCP). You can say what you will about any number of things: no points in the 2nd half, some seriously frustrating offensive play-calling, and some other real head-scratchers (how you gonna have 12 men on the field coming out of a TO?! ), but you know what - who gives a sh*t? We won the dang thing, and it was a big, big win. UGA on 3rd downs: well north of 50% at 7 out of 12. That was simply huge, and obviously a heck of a lot better than last year's numbers (1 out of 11). Even though he came in with two wins against the reptiles, it was nice to see Aaron Murray finally have that killer performance that we've all been waiting to see:16 out of 25 (64%) for 258 yards with a TD and no INTs. Averaging 10 yards per throw with an impressive 163.89 QB rating. MVP of the game? Who was our leading rusher, receiver and scorer? No doubt about it: Todd Gurley. We most likely don't win without him. He's a DGD and one of the greatest players in college football right now. It was nice having Bennett back, wasn't it? All five of his catches were very important. I was very proud of our defense. They rose to the occasion. For starters, it was their best scoring performance all season - lowest amount given up all year, even a point better than North Texas. Just as impressive - it was their 2nd best yardage performance of the season as well (North Texas). Also of note, the last three games have been three of the D's best with each week getting better than the previous. Sure, Florida's offense is pretty anemic, but still, a really good defensive performance for the Dawgs. And how about Garrison Smith? It was nice to see him really break out and have the type of game he did. Special teams? They didn't cost us any points so we'll give them good marks as well. I'm thinking that the Senator was feeling pretty good last night: 3 in a row! Marc Weiszer over at the Athens paper does a good write-up about things especially the high emotions that were running. Seth Emerson, my favorite UGA beat writer, does his usual great job of summing things up. He mentions some hard truths, doesn't sugar coat, and keeps it real as always. Alligator Army: "Gators die hard in wild Cocktail Party"
So...our Dawgs are now 5-3 and still have a very faint glimmer of hope in the SEC east. A few questions: When might we see Conley on the field again? Will Gurley have to miss the 1st half of the App. State game? Will Aaron Murray finally break the SEC passing TD mark next week (he's now at 113 - one ties and two takes it)? How good, really, is Auburn? So far I think 2013 is still a pretty good year. Wins against South Carolina, UT, LSU, and Florida. That's awesome! Where might we be without all of those injuries? Hell, who knows. But it doesn't matter. There's still so much to play for. If we could add AU and GT to the list of teams we've defeated this year and 2013 will go down as a great year. Let's continue to get healthy and play a good game against Appalachian State. One storyline that's gotten lost over the last couple of losses is the fact that Aaron Murray is on the verge of becoming the greatest QB in SEC history in terms of passing touchdowns. He's two away from tying and three from overtaking the record for most TDs thrown by an SEC QB. As I've mentioned a couple of times - that would be pretty poetic. Naturally, getting the W is the most important thing. In terms of the record, with our injury woes at the WR position it's probably less likely to happen, but man - it sure would be nice to see it happen.